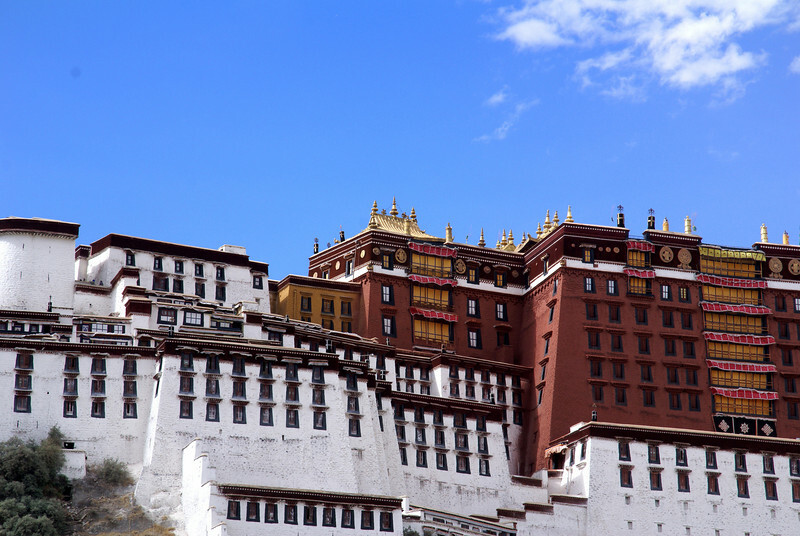 The Potala Palace in Lhasa is the home of the Dalai Lama. The white portion was completed in 1649, and the red in 1694. Formerly the seat of government and home to about 1000 monks, there are now about 400 monks in residence. It is one of the most striking buildings in the world.